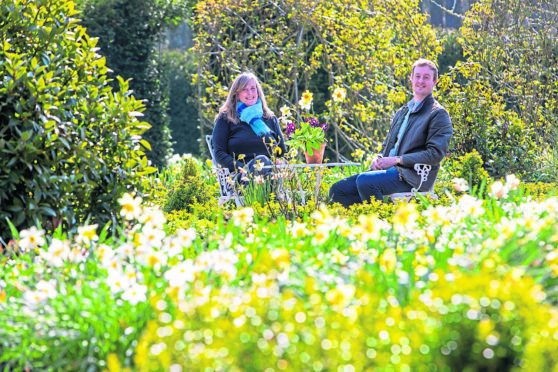 FIfe playing host to Daffodil Festival. Backhouse Rossie Estate, at Collessie east of Auchtermuchty off the A91, is home to a unique collection of the cheerful yellow blooms. The showcase is being organised by owner Caroline Thomson, along with her husband Andrew and son Hamish, following a large turnout at the inaugural event last year. She said the openings on Saturday and Sunday would appeal to everyone from daffodil experts to amateur gardeners and families. “Daffodils are not just beautiful flowers they are also seen as symbols of good fortune in China and in the west often portrayed as symbols of hope and and renewal at Easter,” she said. Caroline’s ancestors developed the cultivation of daffodils from the mid-1800s to the mid-1900s. The estate, which is an RHS Partner Garden, is now home to the National Collection of Narcissus Backhouse cultivars, with many of the daffodils descended from their original flowers. Hundreds of different varieties will be on show at the weekend, including heritage, modern and scented specimens. Visitors will also be able to see the first daffodils bred from the William Wordsworth-style wild daffodils in a walled garden. They will take pride of place alongside daffodil varieties from around the UK. The programme will also feature a woodland daffodil walk to a covenanters tomb, a food market, plant stalls, expert horticulturalists, representatives from Elmwood College, talks, a festival café, family putting and an infants bear walk. Special guest and TV gardening presenter George Anderson MBE will be on hand on Sunday. He will present two plaques to acknowledge the outstanding contribution made to the project by Dr David Willis, an international authority on genus Narcissus, and Jan Dalton, a daffodil exhibitor and former chairman of the Daffodil Society. The gardens will be open from 10am to 4pm on both days and tickets can be booked in advance via http://bit.ly/ScotDaffFest. More information is also available via www.backhouserossie.co.uk.